As many as 13 people were injured, including three serious, in Ramgarh sector of Jammu, due to ceasefire violation by Pakistan on Tuesday, said Director General of Police (DGP) of Jammu and Kashmir, Shesh Paul Vaid. "Thirteen civilians injured including three serious in Ramgarh sector of Jammu International Border due to Pakistan firing in Araspura, Arnia, Ramgarh, Samba, Hiranagar sectors. Sad incident, feel bad for the injured. Police assisting in shifting of the injured to the hospital," Vaid tweeted. 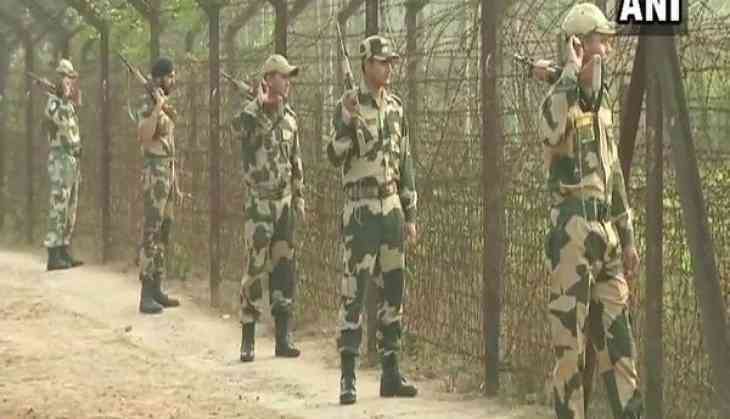 On Tuesday, Pakistan violated ceasefire in Hiranagar, Samba, Ramgarh, Arnia and Suchetgarh sectors of Jammu. Border Security Force jawans are retaliating immediately. Earlier today, people residing near the border areas in Hiranagar sector were forced to migrate to safe places due to the firing from other side of the border. Pakistan restored heavy shelling on the border of Hiranagar sector and possed extensive loss. Villages like Pansar, Manyari ,Rathua, Bobiya, Muthi Charu and Londi were badly affected due to firing. Following the heavy shelling, the district administration sent a bulletproof vehicle to border village Bobiya and evacuated the people to safe place. On Monday, residents of the Arnia sector in Jammu were forced to migrate to safer places after Pakistan continued to violate ceasefire along the Line of Control (LoC).